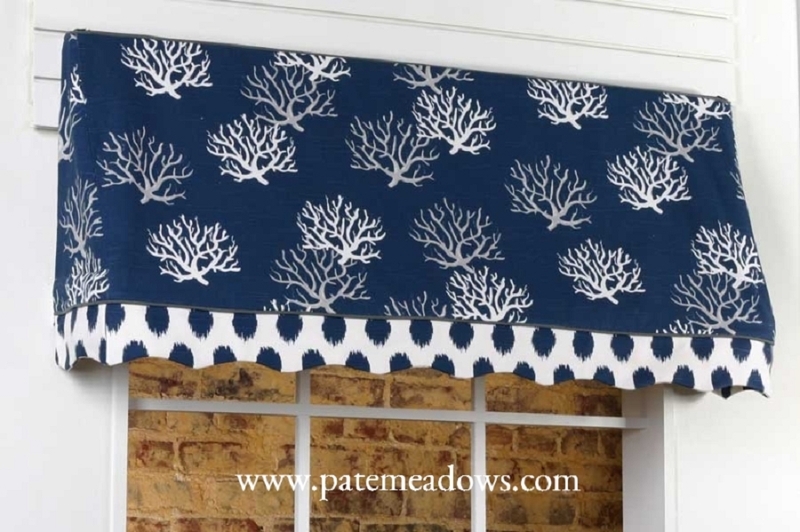 This charming indoor awning valance is a great choice for any room including a kitchen, bathroom, sunroom, laundry room and kid's room. 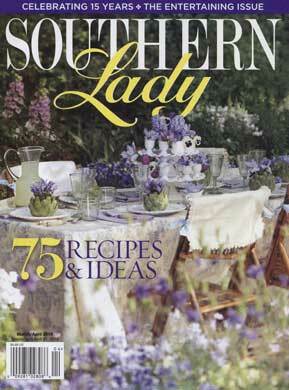 It features a shaped bottom and piping made out of contrasting fabric. For installation, you will need to purchase our special Valance Rod with 8" Clearance and our 1-1/2" angle irons. 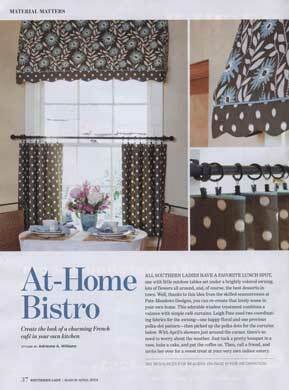 Click here for our free tutorial on How to Make Cafe Curtains! Q: Is there some sort of framework that this valance attaches to and do you have that for purchase? 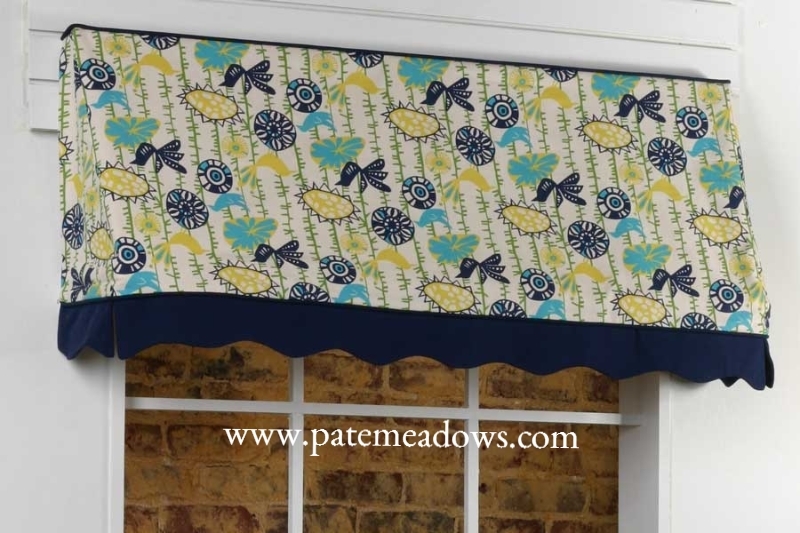 A: Diane, the top of the valance is mounted on a 1x2" board and for the bottom you will need one of our Awning Valance Rods with Adjustable Clearance. 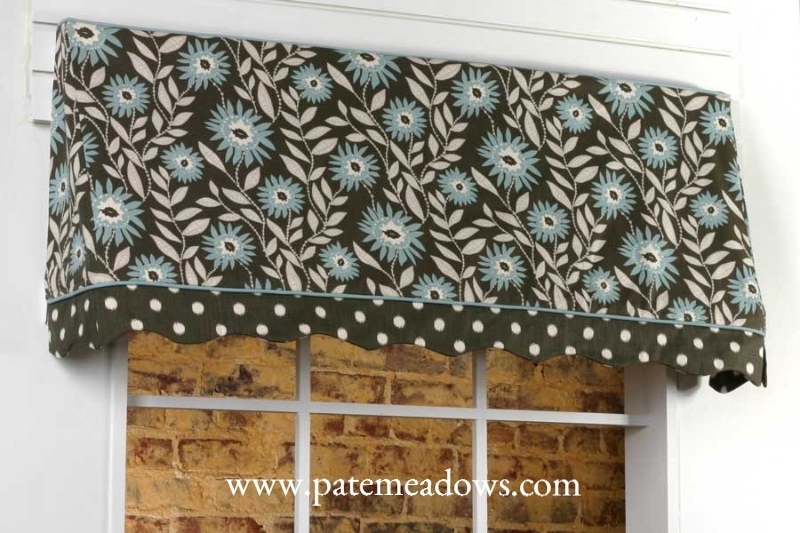 Here is the link: http://www.patemeadows.com/Awning-Valance-Rod-with-Adjustable-Clearance_p_398.html. Q: How does the valance project from the wall?